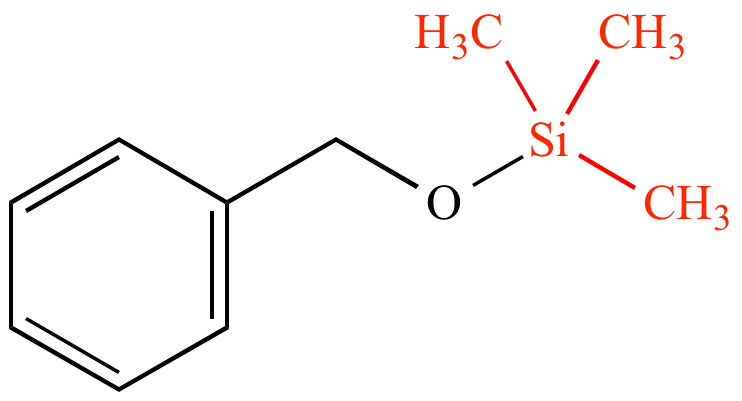 TMS group (trimethylsilyl group): A group consisting of three methyl groups bonded to a silicon atom. Commonly used as a silyl ether protecting group for alcohols. Not to be confused with TMS (tetramethylsilane). Benzyl trimethylsilyl ether. The TMS group is shown in red.